Locally Owned & Operated for Over 40 Years. 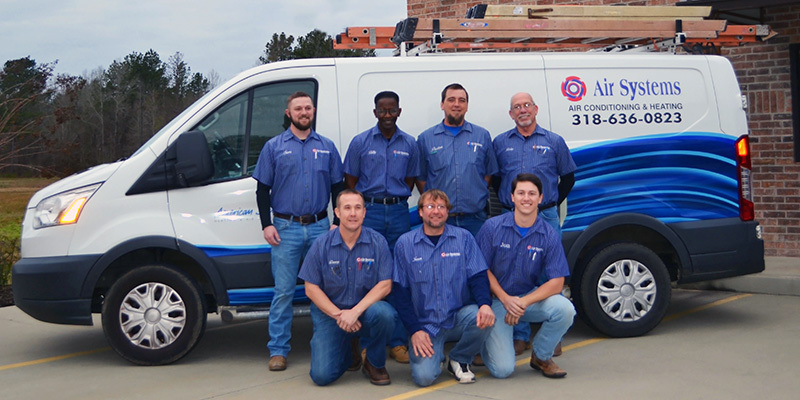 Like working with a smart, dedicated team of professionals who offer creative solutions to your HVAC challenges? Look no further than Air Systems. With over 40 years of experience in the Ark-LA-Tex in both commercial and residential designs, we have performed applications for an array of satisfied and grateful clients. At Air Systems, quality is a prerequisite, not an option! If you need a repair to your existing system or simply need a completely new one, give us a call. We have the service techs to handle any repair needed. No matter what brand or type of system you have, we’re on the job until it’s completed to your satisfaction. 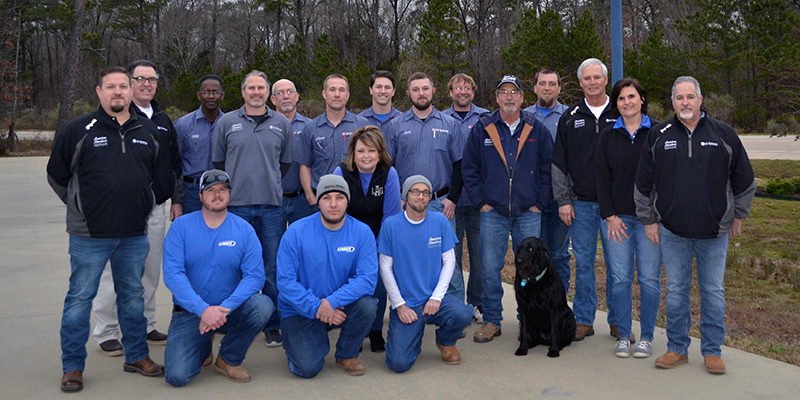 Maybe your building a new home or remodeling an existing one, we have a professionally trained sales staff to help assist you with all your HVAC needs. We also have the experience to help you automate your home. Whether it be with thermostats, cameras, or door locks, all can be accessed with a computer or smart phone. The Technician who came out to my house explained everything so that I would understand what was being done. I was very grateful for that since my HVAC knowledge is limited. Air Systems seems to genuinely care about their customers. Air Systems installed my new air conditioner and was very professional and knowledgeable. We were flooded back in March. Air Systems quickly and efficiently repaired my A/C unit and got us up and running days after the water receded. We are eternally grateful for their hard work and professionalism. I’m very impressed with this company! After the installing contractor couldn’t resolve our airflow issue, a friend recommended Air Systems. They sent their tech out and got our unit working perfectly. Thanks, Air Systems!! I had to replace the A/C unit in my home. I got several quotes and decided to go with Air Systems. I made my decision on the expert advice that I received from their comfort advisor.